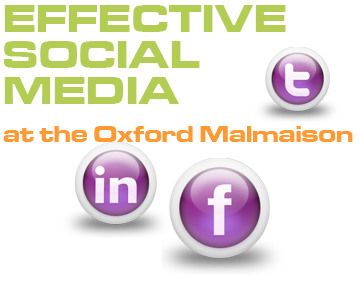 If you aren’t already actively engaging with more than 800 million Social Media users then you should attend my next two-hour ‘Effective Social Media’ seminar and learn how you can leverage LinkedIn, Facebook, Twitter, Google+ and other social networks for your business, organisation or charity. The seminar aims to give attendees a solid foundation in the world of Social Media, using interactive sessions and discussion on the social networks that organisations should be using in their marketing mix. You will come away with an understanding of how to plan and manage your digital network communication. If you have already started social networking you should be using a coordinated Social Media strategy. If not, come and learn how to do so. The next event is scheduled for 4th November 2011. If you are interested in attending, please contact me or book a place here. When Will Google Fiber Take Over The World? Facebook Pages and Profiles – What are the Differences? This is a modified theme demonstrating the power and adaptability of WordPress. Contact me to find out more.